NOUN gets first female deputy VC – Royal Times of Nigeria. 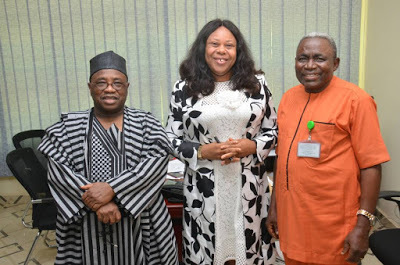 A professor of English Language, Joy Eyisi, on Thursday assumed duty as the new Deputy Vice-Chancellor (Academics) of the National Open University of Nigeria (NOUN). This is as a result of her victory in an election conducted by the university Senate on Wednesday to fill the slot which became vacant at the expiration of the tenure of Patrick Eya. A statement signed by the director of Media and Publicity of the institution, Ibrahim Scheme, said Mr. Eya is expected to resume in December as the director of the university’s Regional Training for Open and Distance Learning.